Before I reveal which city was chosen as the worst city in America this year, let me give you some hints. At one time nearly two million people lived there, but now the population has declined to about 700,000. It was once one of the greatest manufacturing cities in the entire world, and it once boasted the highest per capita income in the whole country. 50 years ago, thriving middle class neighborhoods peppered the city, but today it has become a rotting, decaying nightmare and a poster child for urban decay. Tens of thousands of structures stand empty, and that is after the city has already torn down thousands of abandoned buildings. You have probably already guessed by now that the city I am talking about is Detroit. So precisely how was Detroit selected as “the worst city in America” this year? Detroit, Michigan holds the dubious title of being the country’s worst city to live in, according to a new report ranking America’s 50 most unappealing places to call home. 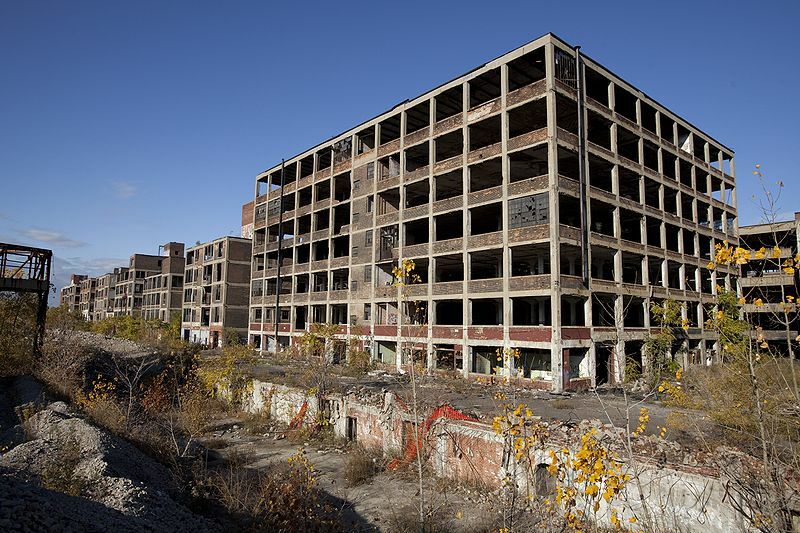 Detroit has just the right combination of poverty, unemployment, crime and other factors to hold its first-place position, followed by Flint, Michigan and St. Louis, Missouri. The ironic thing is that Detroit has actually been bouncing back a little bit in recent years. The city has become a magnet for Millennials that are attracted by the burgeoning tech startups and the emerging hipster culture. A poor, economically depressed city, more than one in every three Detroit residents live below the poverty line. The city also has one of the highest unemployment rates in the United States, with 10.9% of the workforce out of a job. Detroit is also dangerous. Along with Las Vegas, it is one of only two cities nationwide where there were over 2,000 violent crimes for every 100,000 residents in 2016. Of course there are a lot of people that live and work in Detroit that would disagree. So let’s get this straight – she is trying to tell us how wonderful Detroit is, but she doesn’t live there anymore? In life, what people do is far more important than what they say, and it would be very interesting to know why she made a decision to get out of there. I was more than a little bit surprised to see Las Vegas make the list. The Las Vegas economy has been doing quite well over the past few years, but it made the list because of an extremely high crime rate. Springfield, Missouri should definitely not be on this list. I have been to Springfield a number of times, and it is not a bad area. But 24/7 Wall St. included it on the list because of an elevated crime rate and because about one out of every four residents is living in poverty. And I have to say that I was quite astounded that Baltimore only made it to number 10 on the list. I have been to Baltimore many, many times, and it should definitely be closer to the top. It is a rotting, decaying war zone, and there are certain parts of Baltimore that are as bad (or worse) than anything that Detroit has to offer. Other cities that I would have put much closer to the top of the list include Chicago, Oakland and Stockton. And of course a whole host of rotting cities in the “rust belt” have been experiencing what Detroit is going through on a smaller scale. We live at a time when virtually our entire nation is in decline. We are decaying economically, morally, mentally, emotionally and physically. At one time our society was the envy of the rest of the world, but now the rest of the world just talks about how great we used to be. The only way that we have been able to maintain our “greatness” in recent years is by going into unprecedented amounts of debt. Our current debt-fueled standard of living is not even close to sustainable, and once this current bubble implodes we are going to see America’s decline go to an entirely new level.